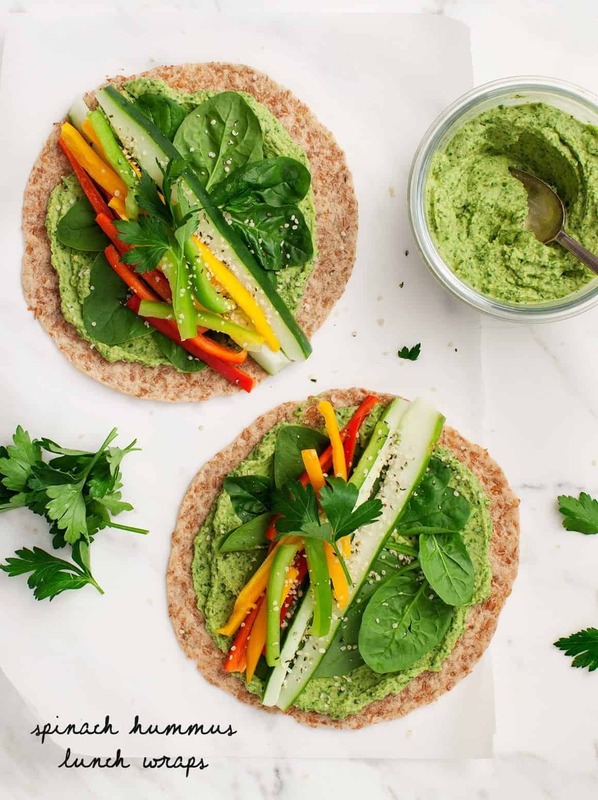 This bright hummus wrap is layered with crisp fresh veggies, hemp seeds, and a light spinach hummus - perfect for packing for a healthy lunch! This month, we have a ton of airplane travel coming up. Not to complain, but travel is one of those things where I LOVE the destination(s) but don’t love the journey… especially the food that’s available during the journey, a.k.a airport food. It’s become my habit to bring my own food on the plane, and with 12+ hours to France(!) on Friday, I’m making some tasty to-go hummus wraps. These wraps would be great for school lunch boxes as well! This recipe is inspired by the hummus wraps that I picked up at Whole Foods in Union Square when we were flying home a few months ago from NYC. They were portable and tasty, and I thought I’d enjoy recreating a version for our flight this week. I start by making a very light, very green hummus. It’s made with chickpeas, tahini, some vegetable broth (which keeps these light because you can use a little less tahini), garlic, spices, handfuls of spinach, and a bit of parsley. Next – I spread the hummus and layer the lunch wraps! I put a layer of spinach, followed by strips of cucumbers and peppers that I picked up last weekend at the farmers market. Because I’ll be traveling with these hummus wraps, I stayed away from juicier vegetables, like tomatoes, because I don’t want the tortillas to get soggy. It’s like layering ingredients for a sushi roll – I’m just using whole grain wraps instead. The hummus is the “glue” that holds these together. You could also use larger burrito-sized wraps if you wanted to. Wrap them up in foil and they’re good to go! I’m going to pack these lunch wraps in my carry-on with a small ice pack to keep them fresh. For more tips on packing healthy lunches and to see my other go-to travel recipes, check out this post! These Spinach Hummus Lunch Wraps are one of my go-to travel recipes. 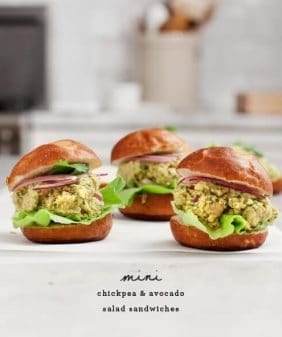 Made with a lightened up hummus spread, peppers, and cucumbers, they have delicious flavor and pack up well for lunches. Make the Spinach Hummus: In a food processor, combine the chickpeas, vegetable broth, lemon juice, tahini, garlic, salt, parsley, cumin, paprika, and black pepper and blend well. Add the spinach and blend again. Chill until ready to use. 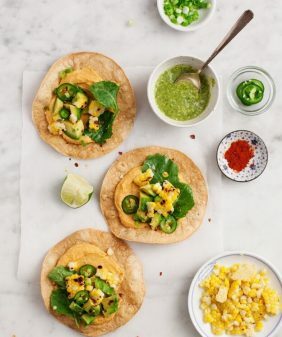 To assemble the wraps, spread about ¼ cup of hummus on each wrap, leaving a ½-inch border around the edges. Add the spinach leaves followed by the cucumber and pepper slices. Top with the fresh parsley, protein of choice and hemp seeds, if using. Roll up the wraps and then wrap in foil. Refrigerate until until ready to use. 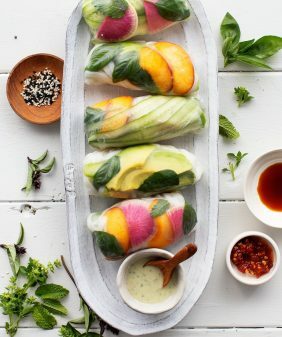 Looks delicious but the link to the actual wraps won’t go through. What kind of “bread” is that? I love this website. Hi Maria, they’re from Angelic Bakehouse – I got them from whole foods, but you can use any large flour tortillas. Hope that helps! They’re seven grain wraps, would you like the manufacture link? I don’t count calories, but you could google for an online calorie counter. So thrilled to see you using my favorite wraps which are made here in my hometown of Milwaukee, WI (Cudahy to be exact)- ANGELIC BAKEHOUSE. I’ve been a fan of their sprouted grain products and I love to see them getting their name out there! Thanks 🙂 You can find them on Facebook if the website doesn’t load. This was the first time I tried them – they were so good! I want to eat these every day for lunch! 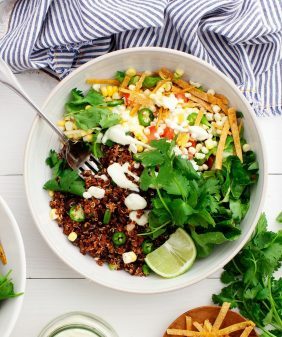 Such a great lunch for any day of the week! Need to try this! This hummus is fabulous! After seeing the post in my inbox this morning, I could not wait to try it and it did not disappoint! I’ve made a lot of hummus recipes over the years but never with parsley, spinach and vegetable stock. The hummus was so silky smooth is such a short time of blending in my food processor, and the flavors were outstanding! I left out the salt and we did not even miss it. I can’t wait to make wraps with the hummus this week! We’ve made similar wraps before but it has been a while, so thanks for the inspiration! I’m so glad you enjoyed the hummus and the wraps! I am traveling NON STOP this month and have been looking for portable lunches. Great idea! I am so digging that spinach hummus, and have never thought to add vegetable stock to hummus, but now I’ve got to try it! I always bring my own food when traveling now. I just feel so much better when I’m eating my homemade stuff – airport food can be so questionable! These wraps look perfect for being on-the-go! Nice recipe and walk-through, love the step by step in the pictures, better than a video for a recipe, in my opinion, so thank you for this recipe! This hummus looks so good! Love the vibrant green color. These look so wonderful! The green color of the hummus is so wonderful! 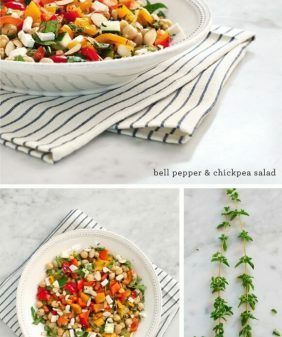 This looks delicious and so easy and convenient to make and bring to work! I’m definitely going to try it soon, thanks for the inspiration! It’s looking very yummy and colourful, thanks for sharing such a healthy and delicious recipe. Yummy, This is a best and healthy recipe to me because few days ago I had been start gym. This recipe is according to my diet plan so i eat it. Thanks to this healthy recipe. Love the idea of adding spinach to the hummus. I also like to add some Avocado, maybe I will add both! Hi there! I’m wondering if you have a food processor suggestion!!! 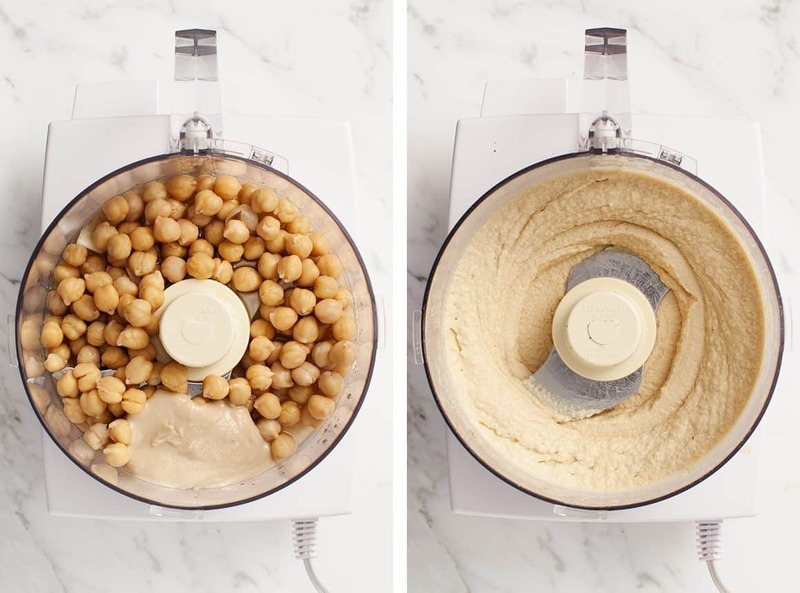 These hummus looks so good. sure should try this. I’m so glad you (and he) enjoyed them!! Will these freezer well? 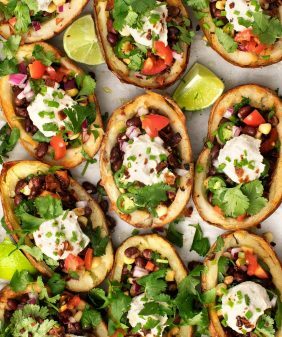 I would like to make these ahead of time to take for lunches throughout the week. Thanks for sharing! Hi Jennifer, these will stay in the fridge for a few days, but I don’t think the cucumber would freeze and thaw well (it’ll become really watery). If I were to freeze these, I might try a roasted veggie filling instead of the fresh veggies. Hope that helps!